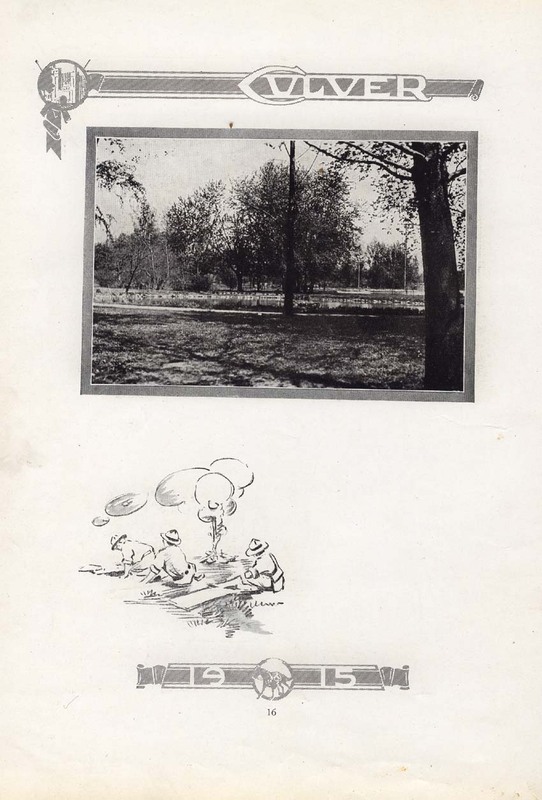 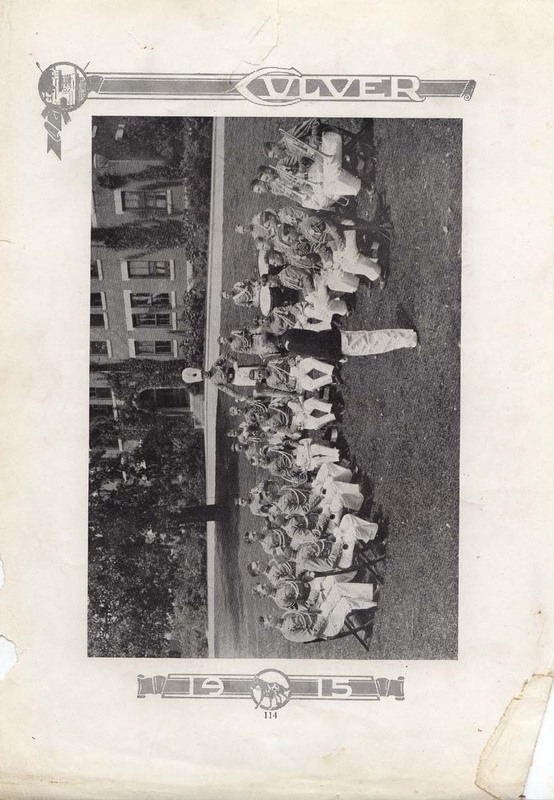 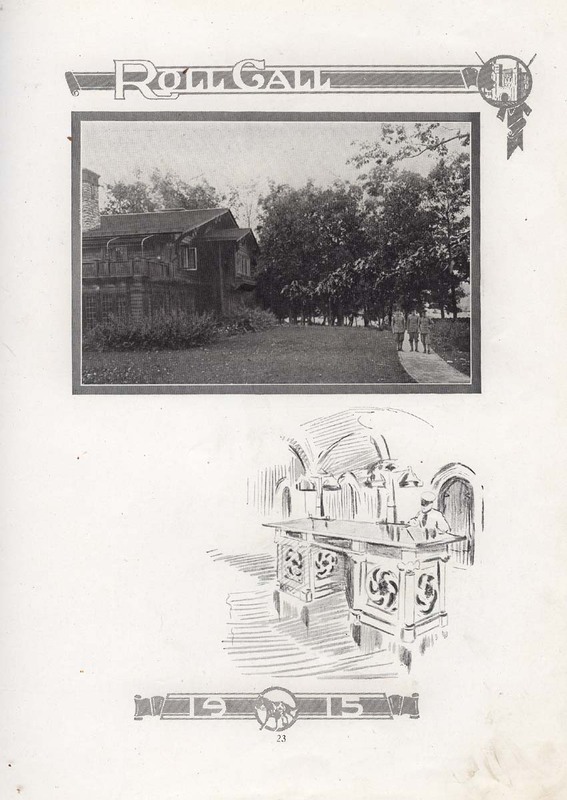 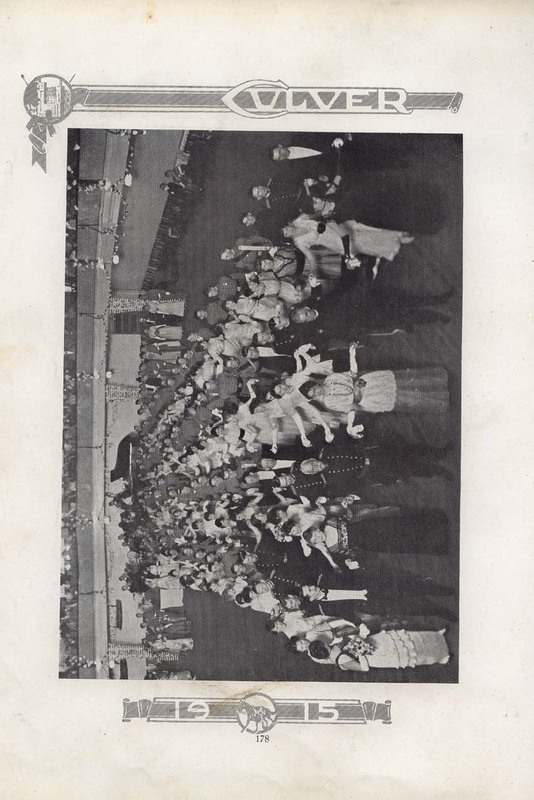 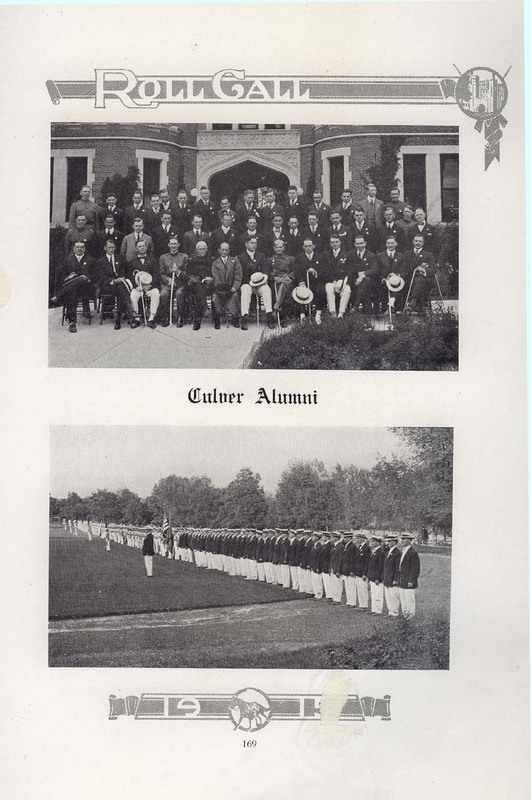 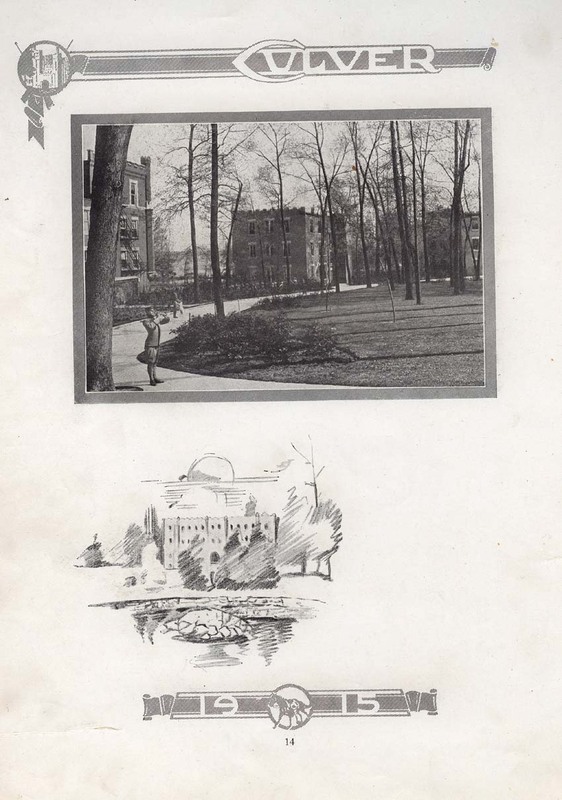 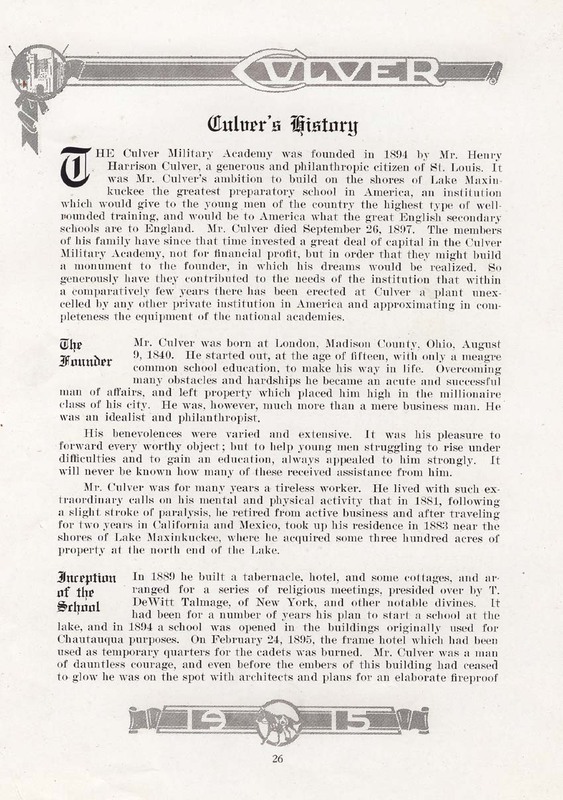 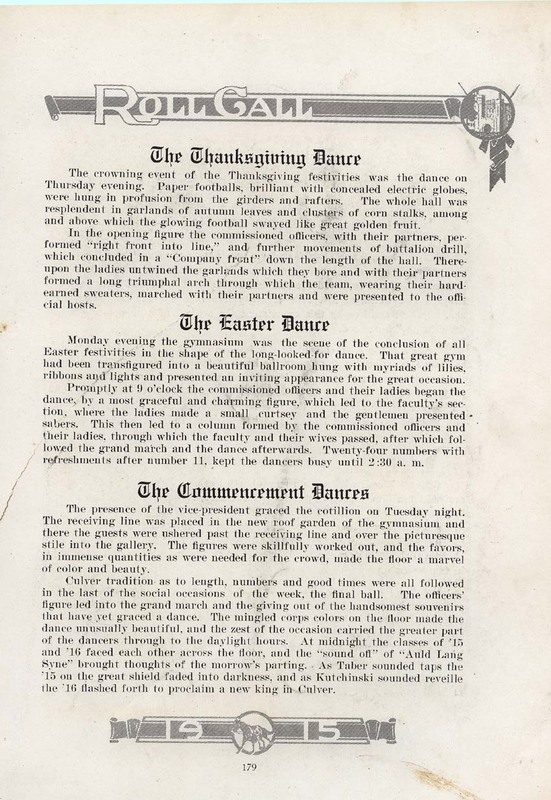 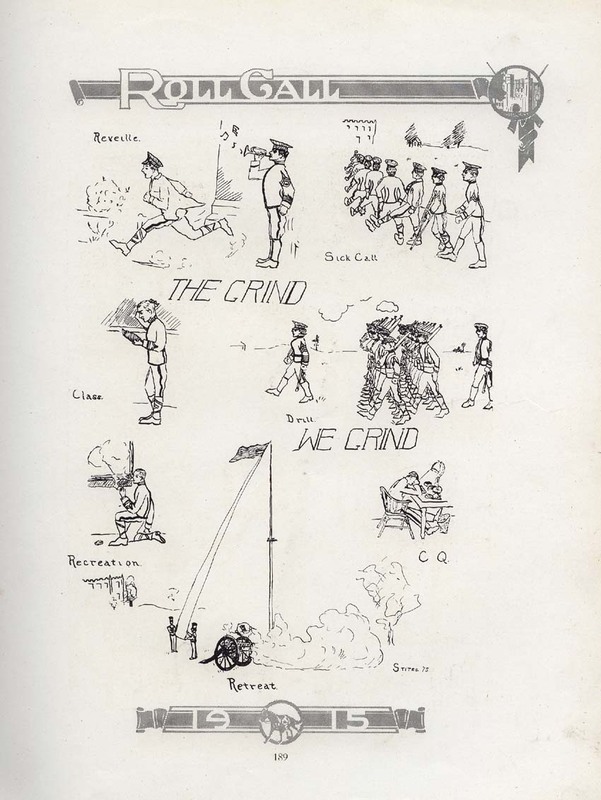 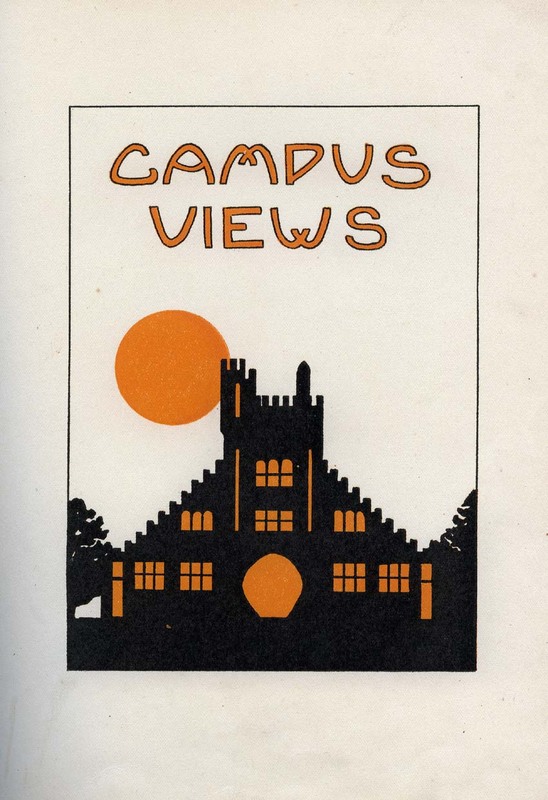 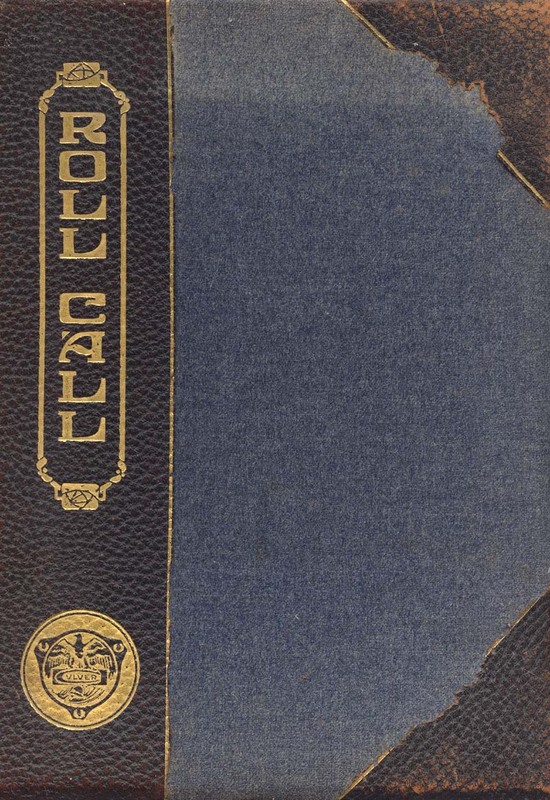 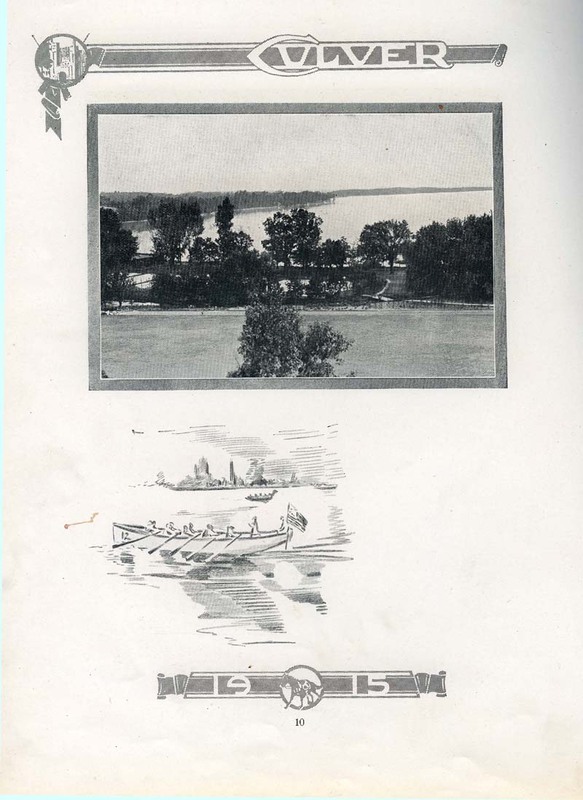 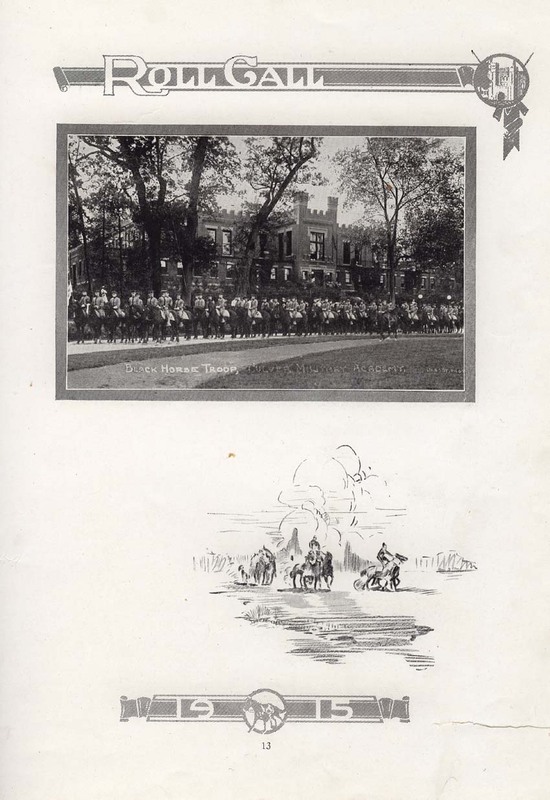 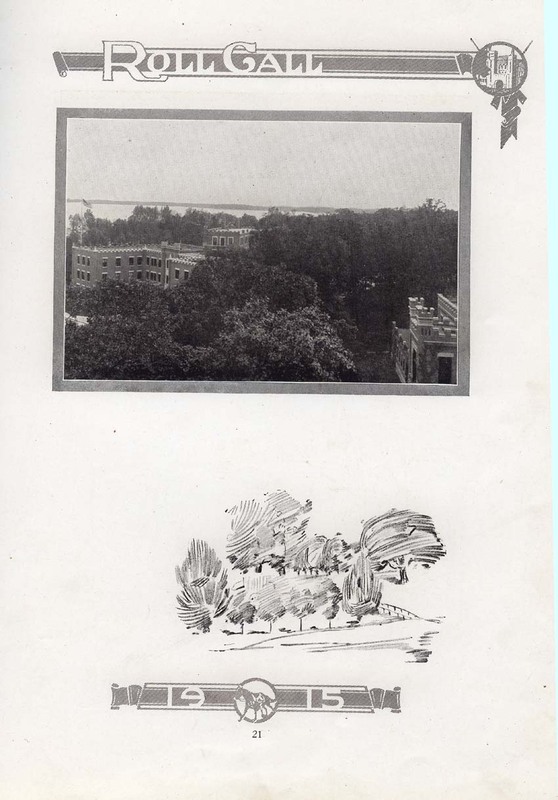 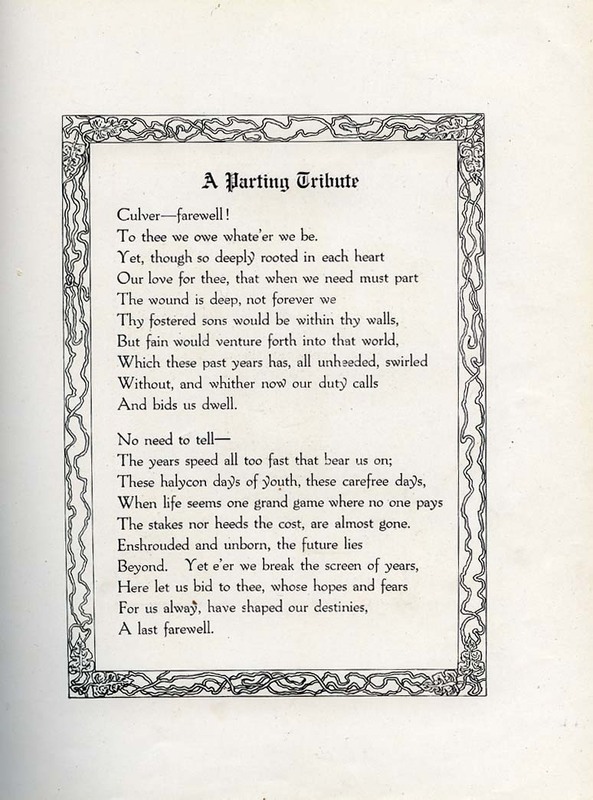 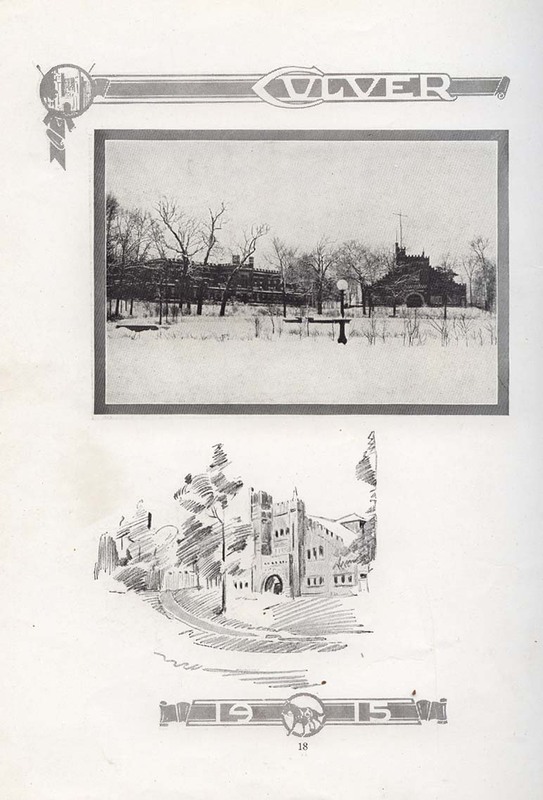 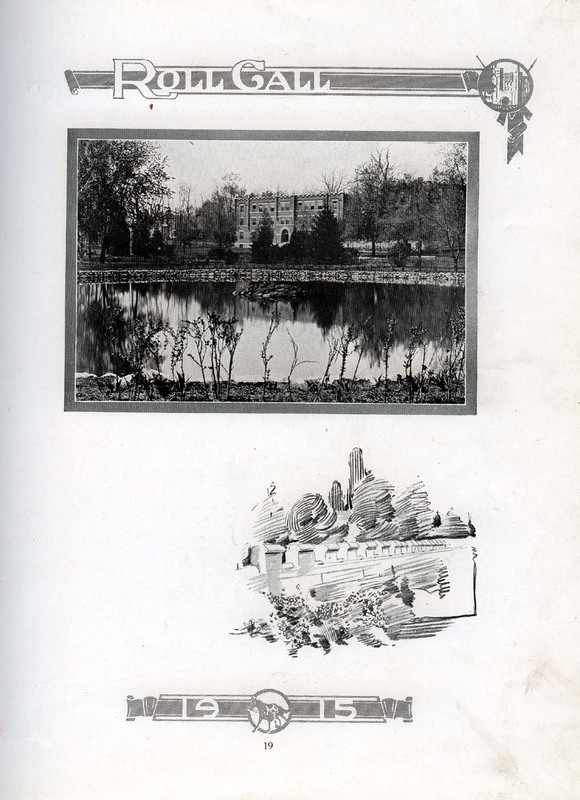 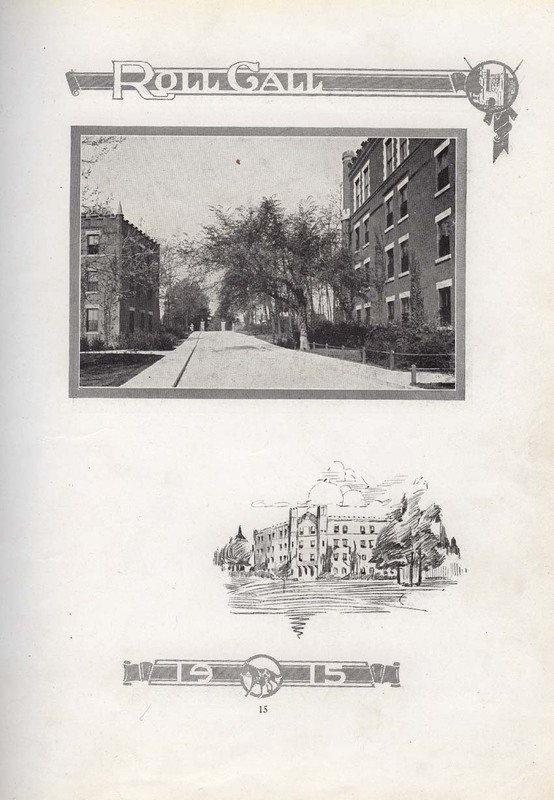 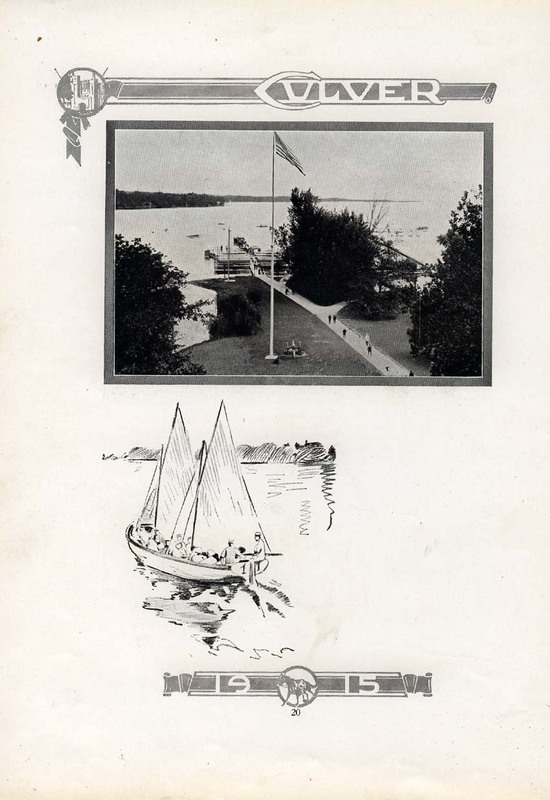 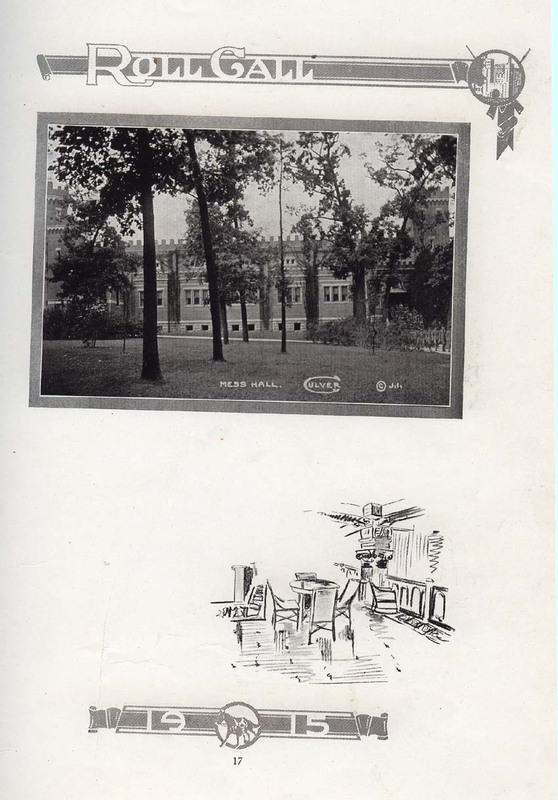 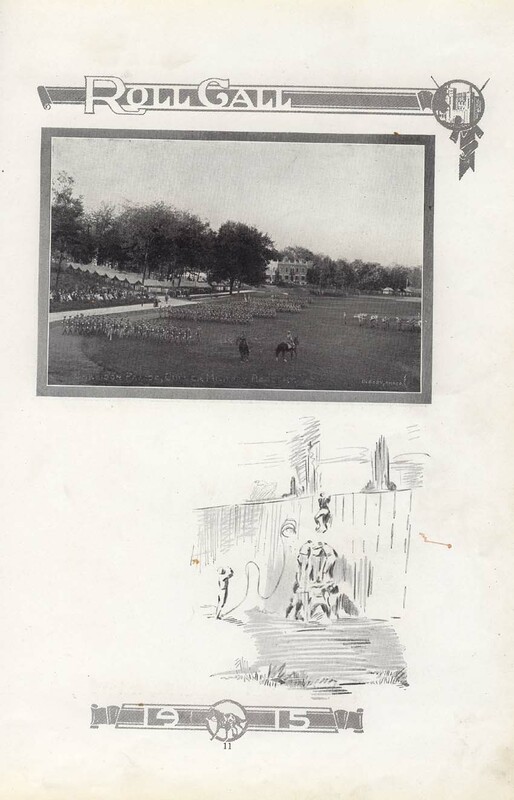 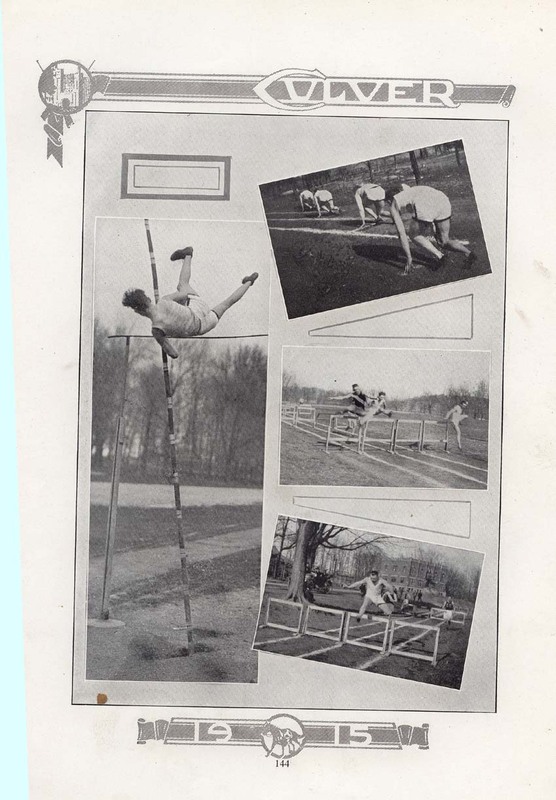 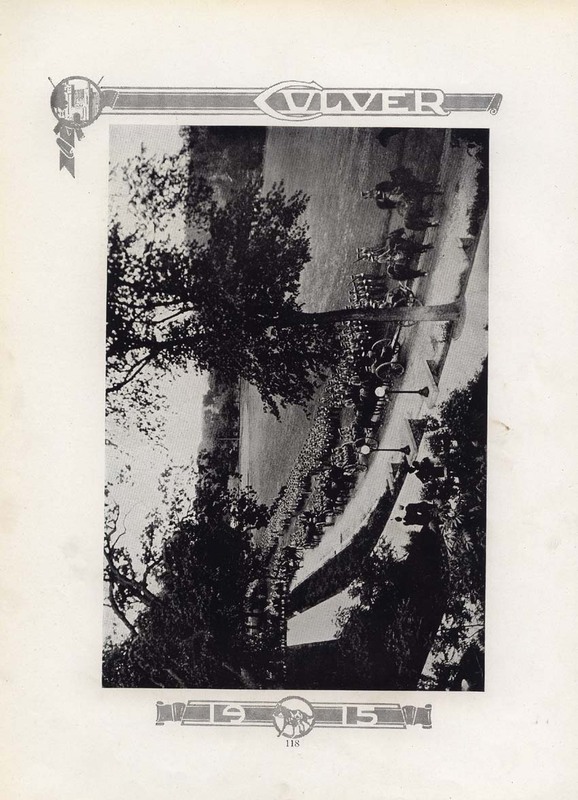 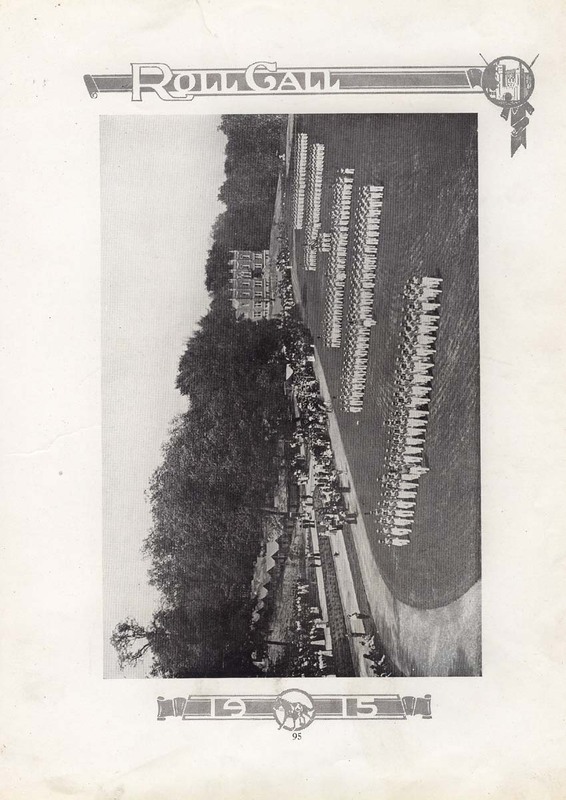 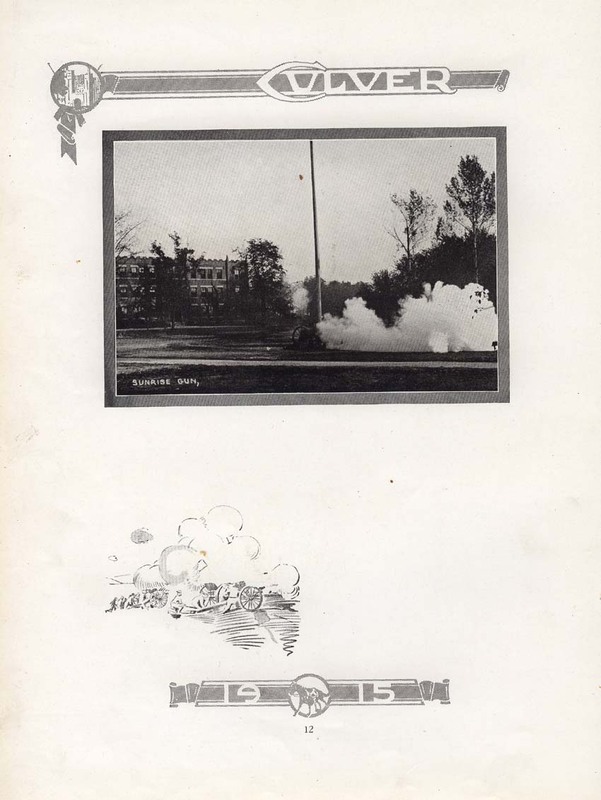 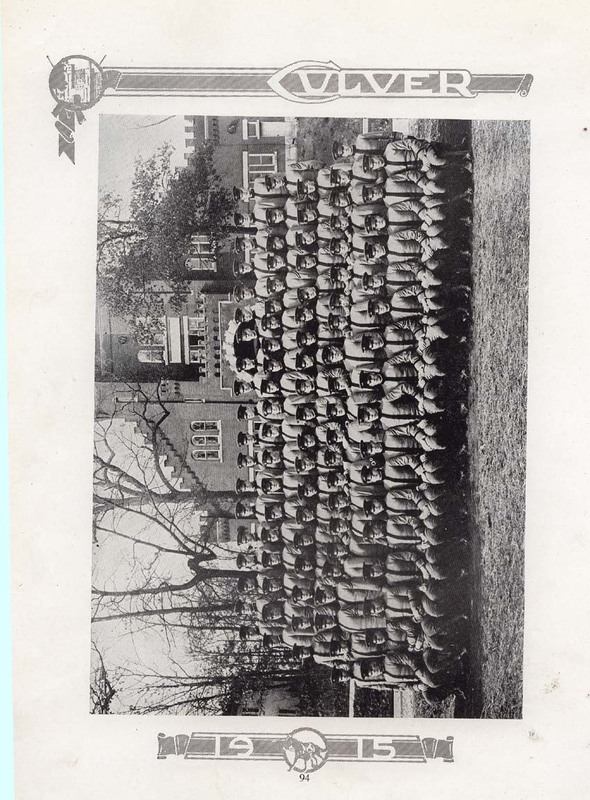 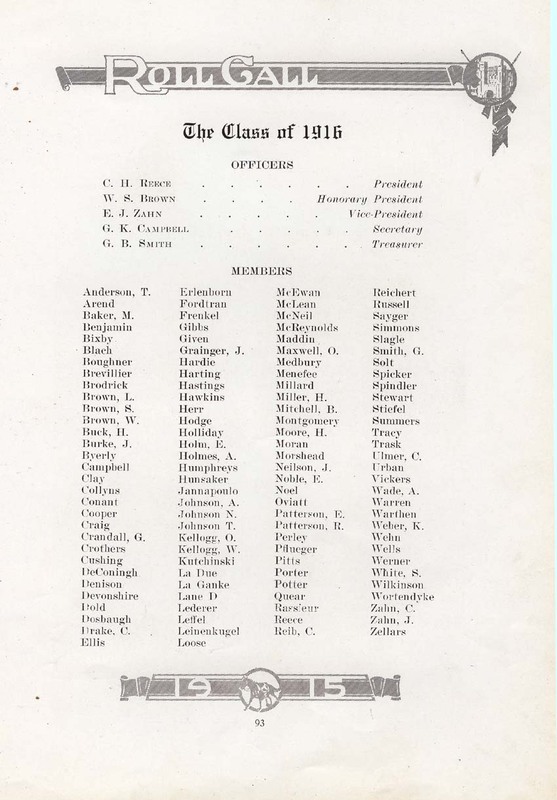 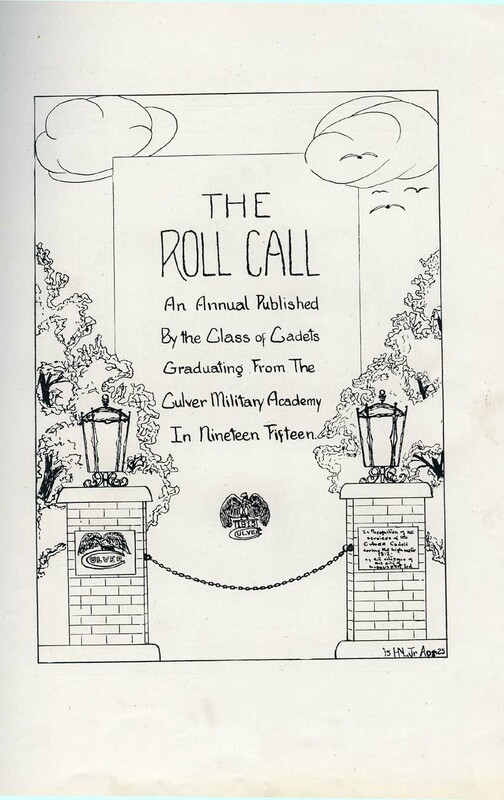 The 1915 edition of Culver Military Academy's annual yearbook, Roll Call. 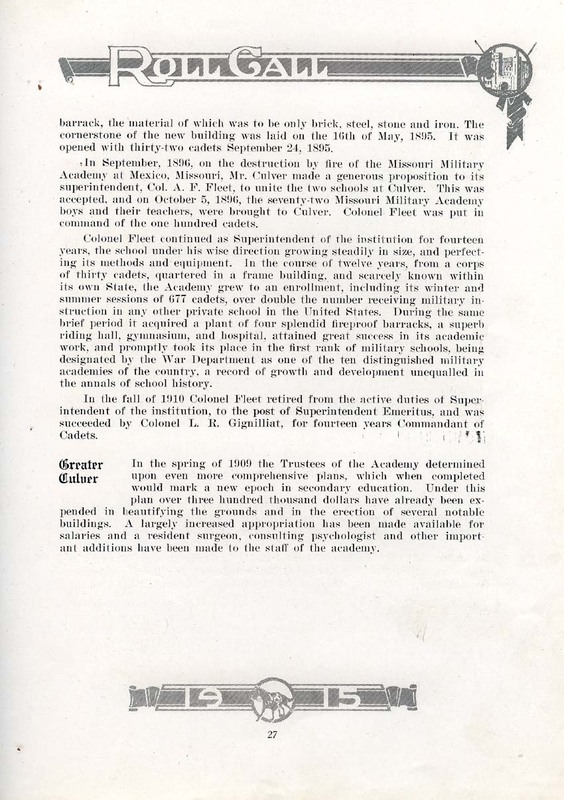 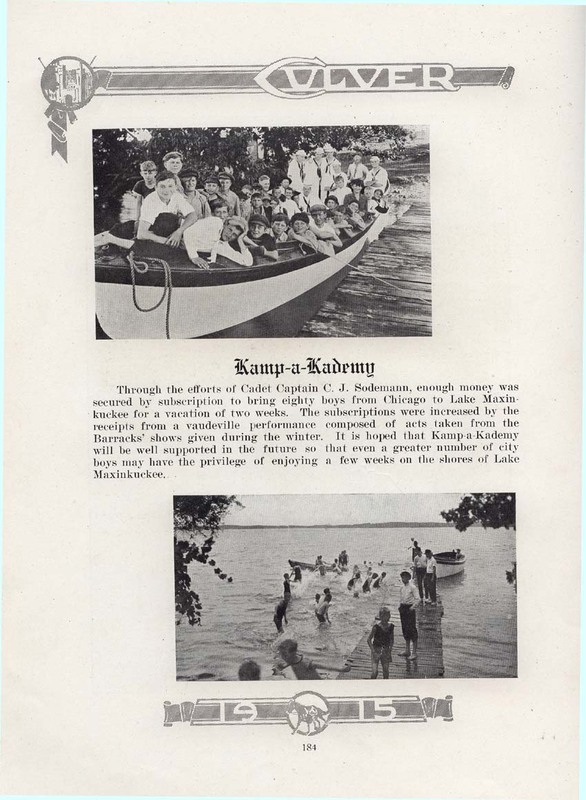 We chose not to scan the entire yearbook, but select pages from the book are presented here. 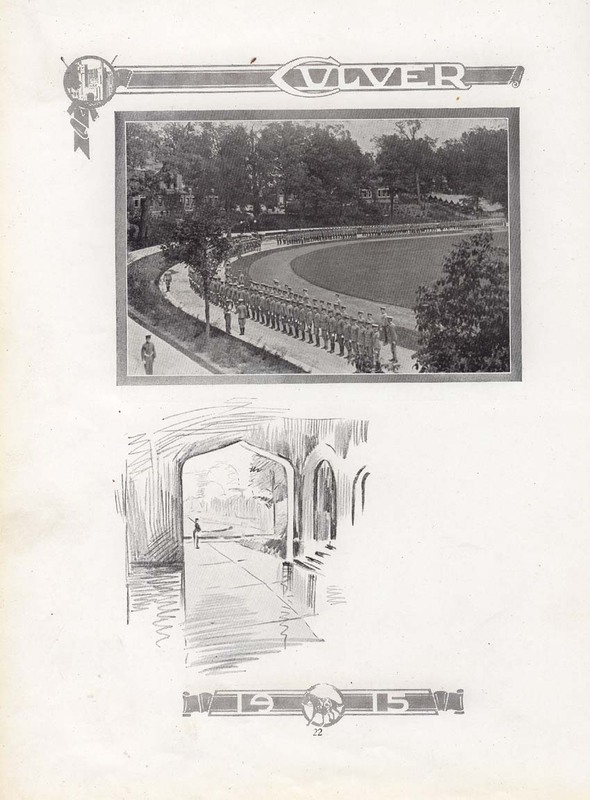 Click each image to view full-size. 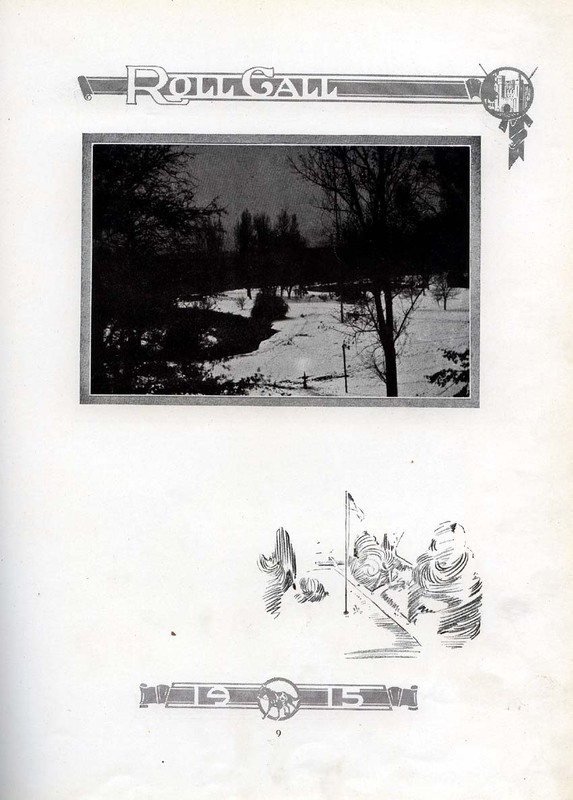 Thanks to Edna Taber for the use of her copy of the annual.